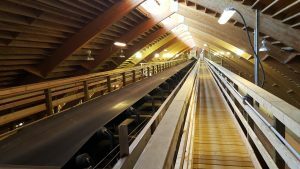 Sackett Waconia has been designing and fabricating belt conveyors for over 100 years. 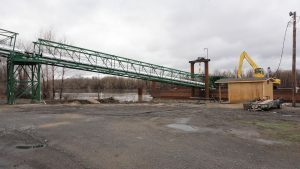 With equipment in operation on 6 continents, 60 countries, and every operational environment except for the arctic, Sackett-Waconia is a name you can trust for fertilizer handling conveyors. We offer a full line of belt conveyors from portable loadout conveyors and under-car portables to heavy-duty CEMA designs. Capacities depend on the application, but can range from 60tph to over 1500+ tph as needed. 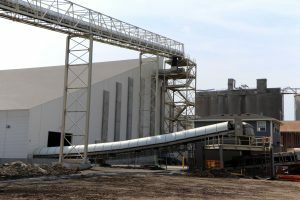 We offer all types commonly in use, in the fertilizer industry, such as: Fixed Belt, Tripper Belt, Shuttle Belt, Walled Belt, Loadout Conveyors, and Under-Car/Over Track. 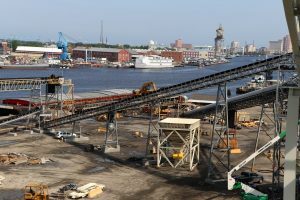 Belt conveyors can vary greatly in materials of construction based on the application they will serve in. However, standard Sackett-Waconia conveyors feature a 304 stainless steel formed channel design, and we will work with you to match idlers, pulleys, and drives to your project. 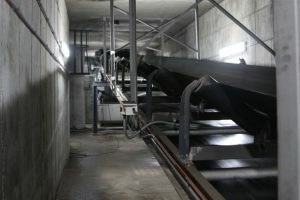 Standard conveyors also feature Dodge bearings and drives. Direct coupled drives are available and, upon request, we can accommodate specific facility requirements or preferred manufacturers you may have. If there is one underlying principle to our engineering and fabrication, it’s to NEVER compromise safety. All Sackett-Waconia equipment meets or exceeds OSHA regulations, and we will work with you to ensure any site or company specific requirements or concerns are met and addressed. Standard safety equipment includes system interlocks, pull switches, pinch guards, head and tail covers, and zero speed switches. Safety is a primary feature of every Sackett-Waconia System.